I was excited to watch last week’s Supernatural episode while at a Supernatural convention in, of all perfect places for this particular show, New Orleans. I made sure to be in my hotel room ten minutes early, ready to tweet, anticipation building…only to find that one of the many versions of CSI was airing on the local CW affiliate. BOO. 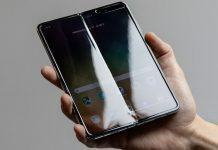 I managed to watch the episode the next day on my phone, but that’s not the sort of viewing I was hoping for so this is more review than recap. Nevertheless, here are some thoughts on the third episode of Season 13. 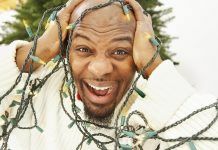 Don’t forget to check out our Supernatural Gift Guide as the holidays are almost here and there’s something for #SPNFamily member in it and even those that are #SPN curious. 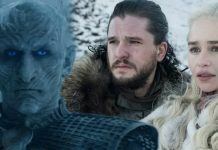 It’s hard to say I enjoyed the episode, because much of it wasn’t what I would call enjoyable to watch – this show I love is like that sometimes. It draws me in and then stabs me in the heart, because I care about these characters so much. When they’re hurting, I’m hurting. And right now? The Winchesters are hurting. 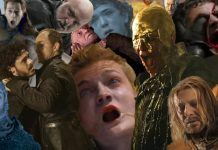 Add to that several other characters who I’ve come to like a lot – who are also hurting – and that’s a lot of hurt for one poor fangirl to endure in 42 minutes of television. Let’s talk about those other two first. 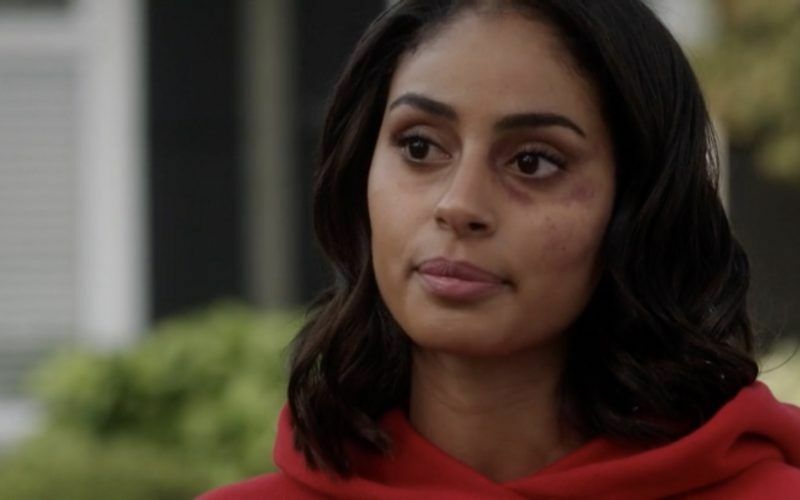 Missouri Mosely was one of my favorite characters from the early seasons of Supernatural. She was wise and warm and took no crap from the Winchester boys. She was a little bit of mother figure for them in a time when they didn’t have one at all, long before Mary came back or Jody Mills played a bit of that role for them. 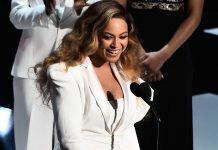 She was also one of the first women of color to appear on the show. 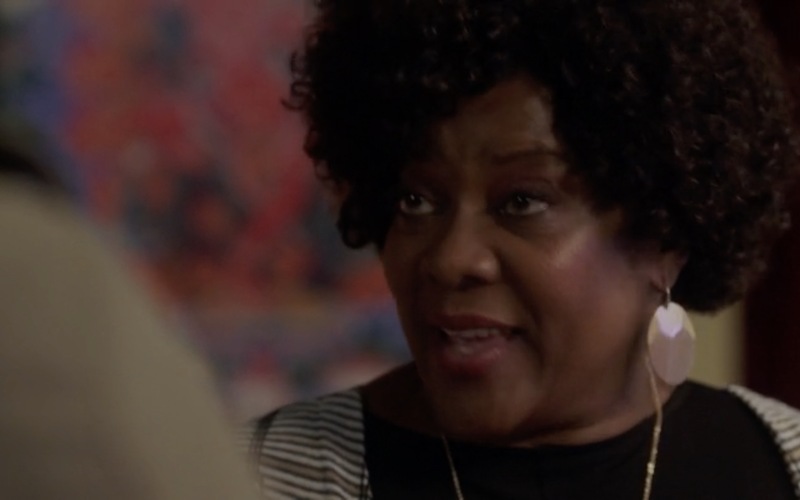 Loretta Devine invested the character with so much personality; she lit up every scene she was in. I always wished they’d have her back, and was thrilled to find out that was finally happening. 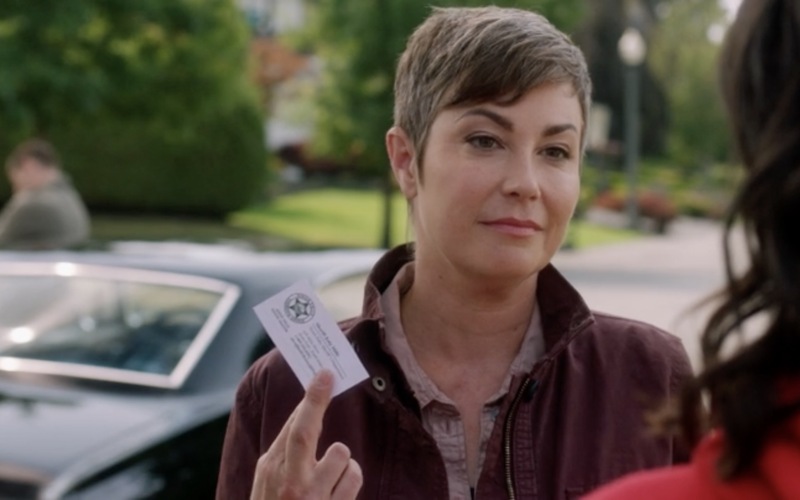 Loretta did just as fabulous a job as ever, and I loved being able to see both Missouri’s obvious care for the Winchesters (and Baby) and that she’s as capable of sassing them right back as ever. 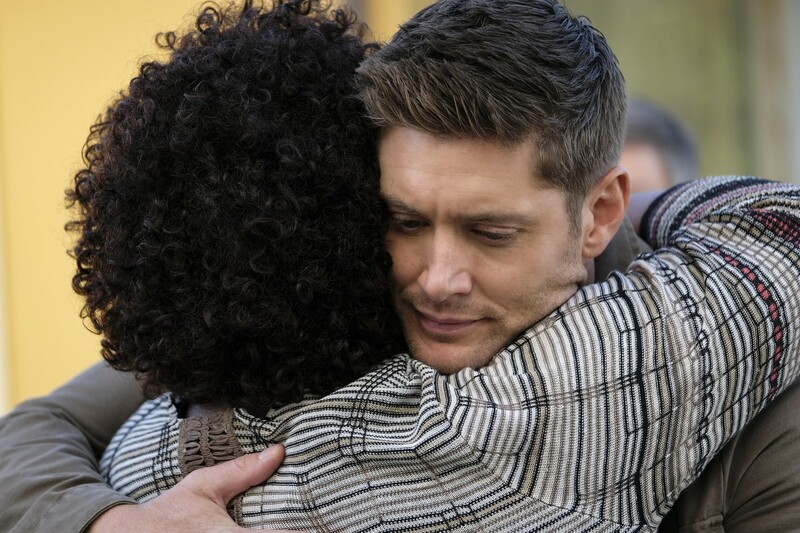 Dean’s quiet “yes ma’am” and Missouri’s returned warmth was one of those small emotional moments that carries a big impact, hearkening back to early seasons and reminding me who Dean really is and how much the people who cared about him in those early days meant to him. On the other hand, I was sad to see Missouri be killed so quickly. It made sense in the context of setting up the Wayward Sisters episode, allowing Patience to find out about her own psychic abilities. Her death could be a motivation for Patience to begin hunting too, but it still was hard to watch. I did love how Missouri went out, though, on her own terms and courageous right up to the end. The wraith wanted to hear her scream? I wonder if we’ll see Missouri and Loretta back, though. 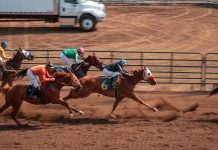 There was careful attention paid to Missouri giving her young granddaughter that brooch that would always keep her with Patience, and to Patience taking it out of its box and holding it. Will that anchor Missouri to her as a ghost, or allow her to contact Patience in some other way from beyond? Let’s just say I hope so! James, Patience’s dad, and Missouri’s son, was also a memorable character. 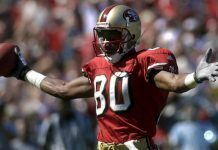 Not all that likable, but memorable. 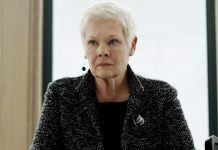 The premise that he shut his mother out of his life because she didn’t foresee his wife’s death from cancer accurately seemed unlikely, unless he was some sort of jerk already – but that isn’t how he’s written. So that was confusing (Dean and Jody seemed confused by it as well). I was thrown out of the story for a second by that to go huh? 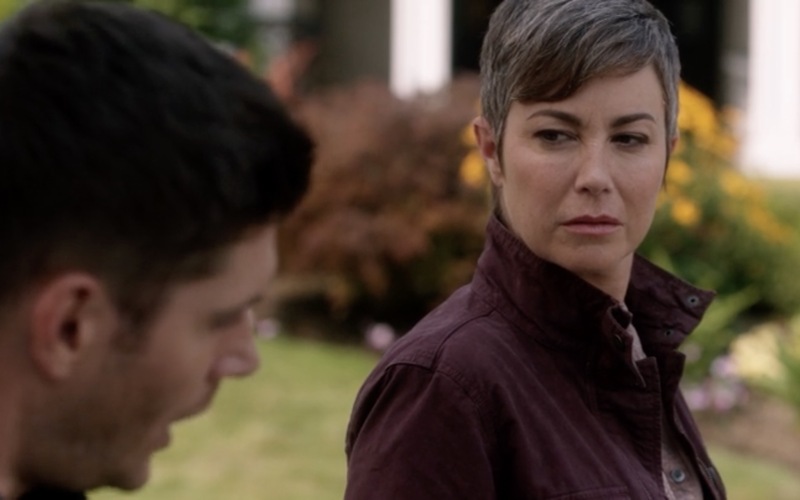 James also seemed to resent his mother’s hunting and not being around much, perhaps a nod to Dean and Sam’s difficulty with Mary after her return doing a similar thing – or to Sam and Dean’s childhood with John where he constantly disappeared and left them frightened and alone. James does have a reaction when he hears his mother has been killed, and he’s clearly regretting hanging up on her the day before, but wow, too little too late, buddy. 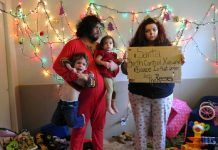 It hurt to think that Missouri had been cut out of her son’s and granddaughter’s lives for twelve years – twelve years! And that James had manufactured a lie to keep Patience from seeking her out. I don’t know, James, that’s a tough one for me to swallow. I suppose that may also set Patience up to go to Jody eventually, but all that wasn’t pleasant to watch – maybe because it pinged my own mom emotions too much. Cut out of your child’s life? I can’t think of anything more painful. I guess in a sense, James’ story fits into the overall theme of the season so far. 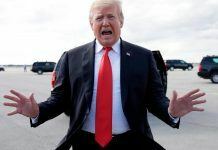 It was his grief over his wife’s death that pushed him to take such drastic steps, to cut his mother out of his life – to inflict pain on others. 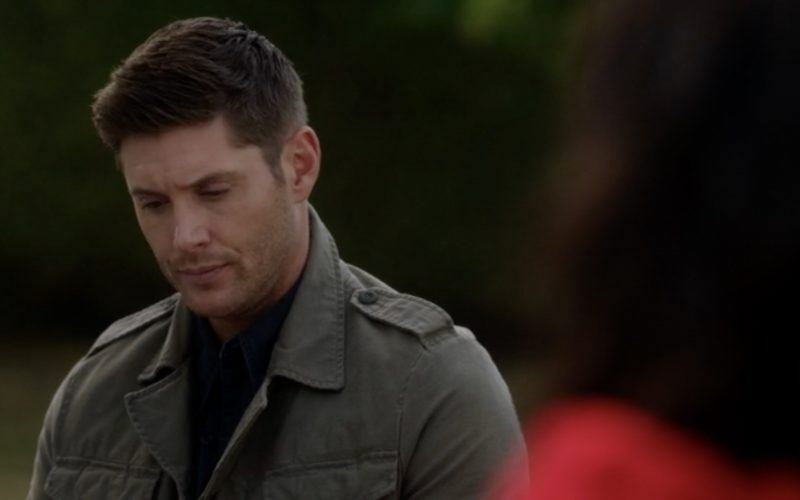 Dean, in his overwhelming grief and sense of helplessness, is sort of doing the same thing. A lot of anger comes from grief, that’s for sure. Of course, the other character I’ve come to care about who is hurting terribly is Jack. 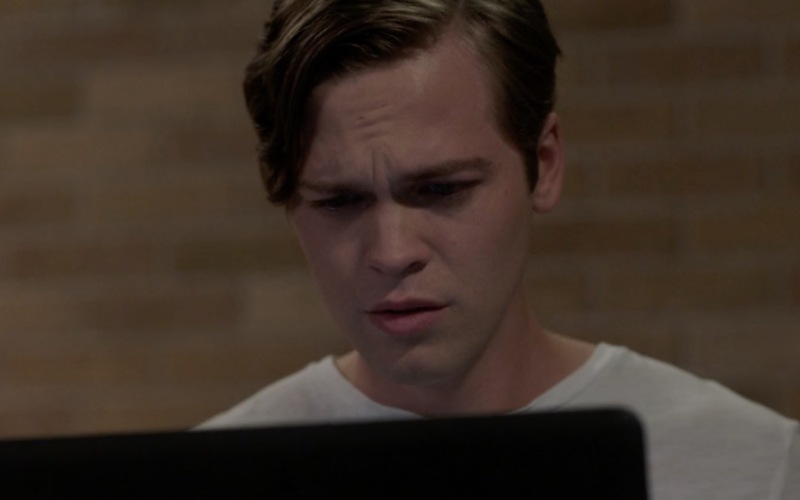 I have to really hand it to Supernatural and to Alex Calvert, because I really do care about him. 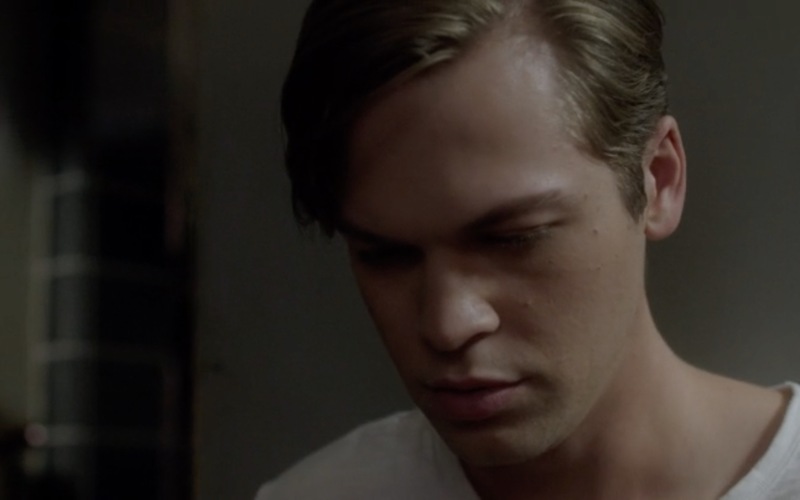 Yes, I know he’s Lucifer’s son, but Calvert and the writers have shown me a person who’s young and naïve and vulnerable, and I can’t help but want him to be okay. I’m actually a bit dumbfounded by how much I care about Jack already – I didn’t expect to. Not like this. 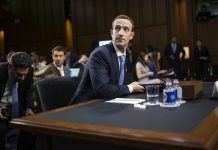 Jack is struggling so hard to figure out who he is – it’s like all that identity exploration we all have to go through in adolescence has been packed into four days for poor Jack. 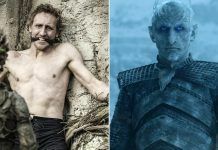 The character pulls strongly for identification for many fans – he’s a mix of very different things, half this and half that, contrasting attributes that make it difficult for him to figure out who he really is. He’s impulsive like every adolescent ever, but for Jack that impulsivity could be literally life-threatening for lots of people. Like, everyone everywhere, the whole planet. How do you deal with that kind of power when you don’t even know how to control your own emotions? When you don’t even know how you’re supposed to feel or who you’re supposed to care about? Like Sam eventually realizes, that has to be terrifying. Jack is dealing with grief too, just like Dean and Sam are, and with the feelings of abandonment that inevitably come with it. His mother has abandoned him (through no fault of her own) by dying, and to make matters so much worse, Jack feels responsible. Technically, he is responsible, but again, not his fault. He certainly didn’t ask to be created or born, but knowing that your mother died giving birth to you has got to be an awful knowledge to bear. Alex did a magnificent job in the scene where Jack listens to Kelly’s message for him, recorded before he was born. 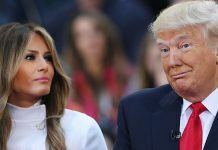 You can see his eagerness to connect with her, and the awful longing, knowing this is all he has of her – all he’ll ever have. 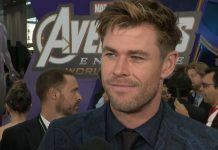 Jack has mentioned feeling connected to his mother before he was born, that she told him things and taught him things, which must make the loss so much more poignant. It’s not like he never knew her – he did. And yet he never got to be held by her, or to hear her voice except on a laptop. How tragic. 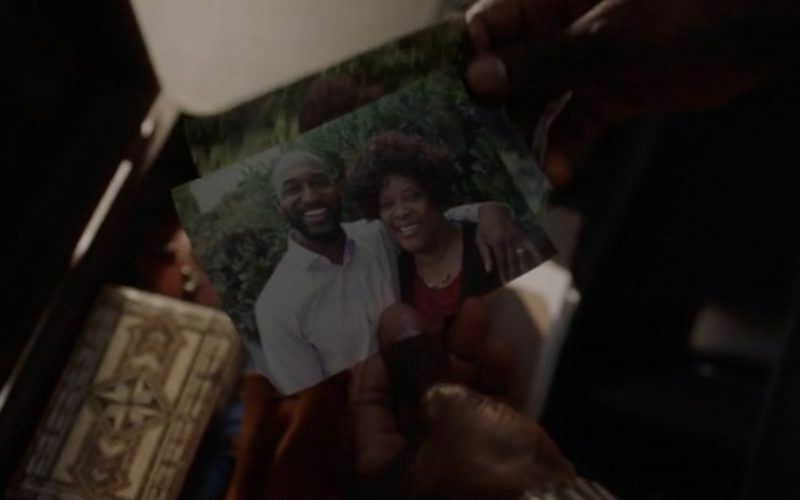 This theme of parental loss and separation that’s running through the season, and especially this episode, is really hard to watch. Did I already say ouch? Jack’s grief isn’t just about his mother either. He’s also lost Castiel, who he expected to be there, to take care of him. Jack was also connected to Cas somehow before he was born, and that connection has also been broken with Castiel’s death. Jack is truly alone, except for the Winchesters. And even that is a story of grief and loss. That brings me to Winchesters, and why their story was also hard to watch in this episode. We’ve been prepared for Sam and Dean to be “on a different page” when it comes to Jack since way back at Comic Con last summer, but somehow I didn’t expect it to be this painful. First I want to give all the kudos to Jared Padalecki. It’s been a while since he’s been able to really demonstrate his acting chops like this, especially his ability to portray hurt and anger in Sam. 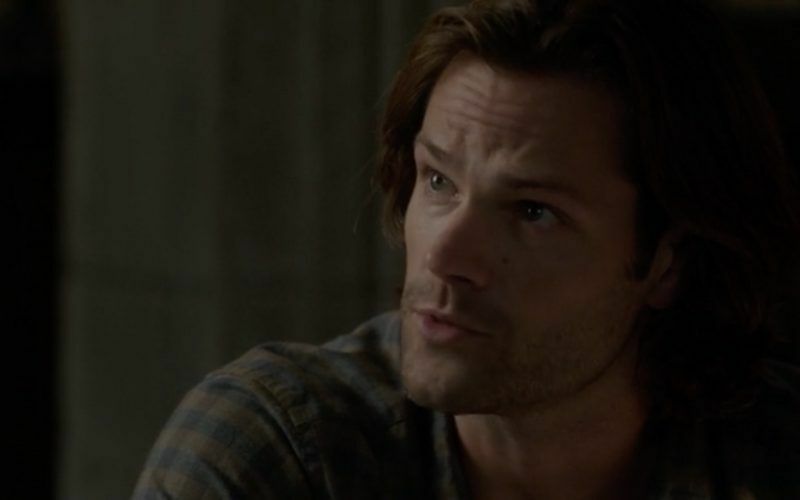 Padalecki is wonderful this season with his subtle portrayal of Sam’s shifting and conflicted emotions – you can watch his face and see the realizations happen, the connections spark, the emotions flare. I love the character of Sam Winchester, and this episode reminded me why. Sam is determined not to give up on Jack. After all Sam went through with Lucifer, all the torture and abject terror and years and years of dealing with the rage and pain Lucifer left in him; Sam Winchester is still capable of giving Lucifer’s son the benefit of the doubt. He refuses to judge Jack by who his father is, determined to see him as his own person. Can you even imagine the strength that takes? 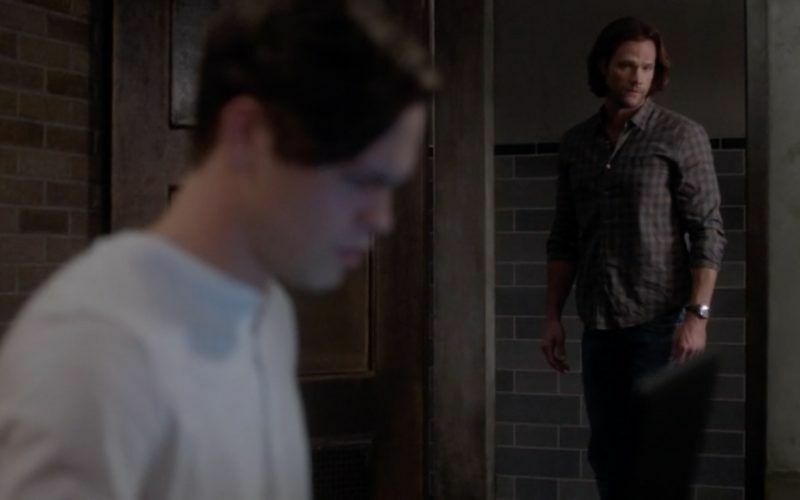 Sam is a character so capable of empathy that he looks at Jack and instead of seeing the monster-to-be that Dean does, Sam sees a wounded boy who sees himself reflected in others’ eyes as a freak. And Sam knows that feeling. It breaks my heart to have to remember all those times when Sam felt like he was the monster – when the people he loved felt that way too. When his own father told his brother that he might have to kill him. KILL HIM. 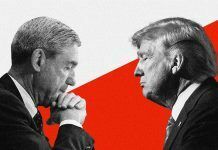 When the brother he adores told him that if he didn’t know him, he’d be hunting him. Looked at him like a freak, with fear and disgust. 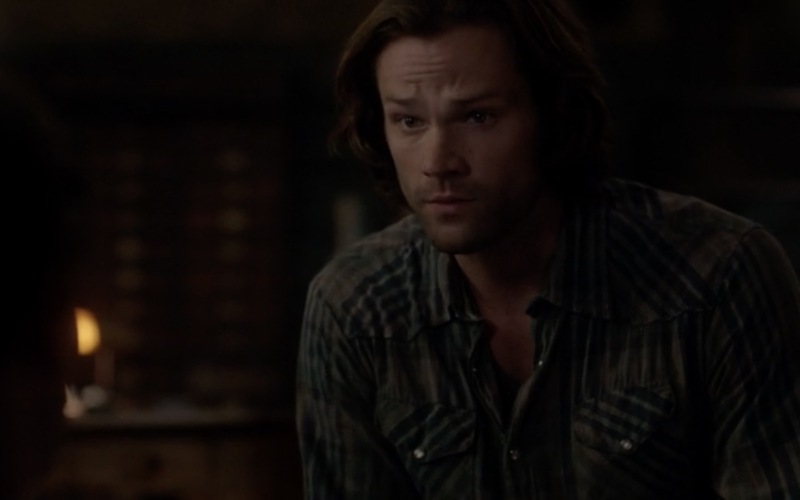 I was reminded of all that incredible pain that Sam Winchester has been through, and yet here he is, hunching down so he’s on Jack’s level to talk to him when Jack has curled up on the floor, distraught and hopeless and convinced he’s both evil and a failure. As much as Sam does want to help Jack harness his powers, both for humanity’s safety and maybe to breach the wall and find their mother, he also has genuine empathy for Jack. When he sees how much Jack is hurting, how overwhelmed he is by trying to do what Sam wants – by trying to be “good” – Sam drops all those practical concerns and just holds his hand out to Jack. 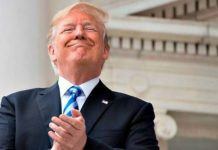 He isn’t afraid to offer an apology, an admission that he was pushing too hard. And how rare is that in this world, both online and off, real world and fantasy? When someone has the guts to say, you know what? I was wrong. Let me do this differently. Sam Winchester? He’s got those guts. 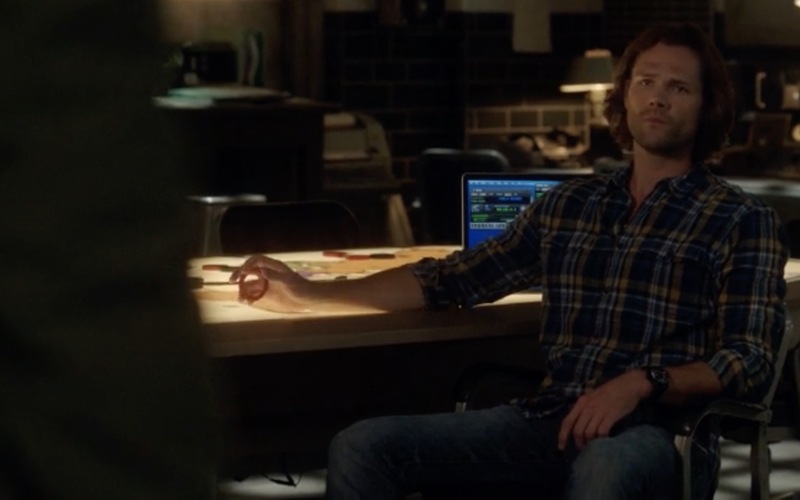 I started to tear up during that scene, because Jared showed us all those emotions in Sam so clearly that I was pulled right in too, right along with him. I’m tearing up now just thinking about it. It’s a beautiful moment, when Sam reaches down and Jack reaches up and clasps his hand, lets Sam pull him up. Literally, but also metaphorically. Jack, afraid to believe in that kindness or acceptance, asks why Sam is being so nice to him. Sam: Because I know what it feels like to feel like you don’t belong. To feel like there’s this darkness inside of you. To be scared of who you are and what you can can do. Dean…Cas…my family helped me through that. So I want to help you. Because you’re not evil, Jack. God, did I ever love Sam Winchester at that moment. Dean, as we’ve known for a long time, is not exactly on the same page. When Missouri calls asking for help, Dean is all too ready to get out of the bunker and “go to work” – instead of trying to help Jack. 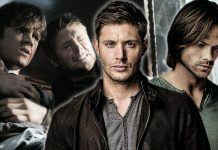 I hate when the brothers split up, so I hated seeing Dean leave Sam behind, especially after snapping at him for what he’s trying to do with Jack. All that grief that Dean is trying to bottle up with alcohol and repression? Not surprisingly, it’s exploding in a lot of anger. Also not surprisingly, those explosions are raining shrapnel down on the person Dean is closest to – his brother. Even more unsurprising, I hate watching that. Anyone who reads my reviews, or has even a passing acquaintance with me, knows that I love the bond between the brothers. When they argue, or when god forbid they hurt each other even unintentionally, it hurts my heart. So the other person hurting a lot during this episode? That was me. That first scene between Dean and Sam hurt, but it was nothing compared to their next conversation. I love love love that they DID have a conversation, even if it was actually more of an argument, because there’s nothing worse than the brothers not interacting at all and both of them bottling up their feelings from each other. Sam, who is just the most courageous person ever in this episode, doesn’t let Dean get away with coming back from the wraith hunt and just heading off to his bedroom with a six pack or two. 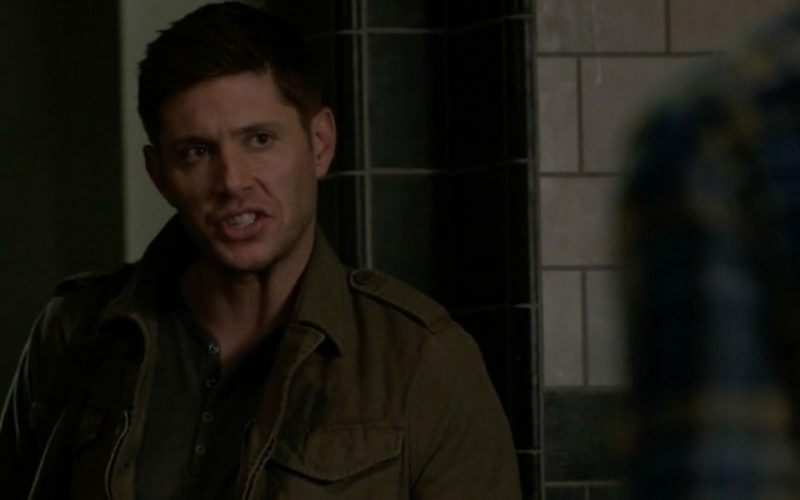 He confronts Dean about saying he would kill Jack. Dean at first tries to avoid, insisting that’s not exactly how it happened. But Sam doesn’t let his brother off the hook. Dean’s favorite defense mechanisms are repression, denial, and avoidance, and Sam knows those aren’t going to keep working. So he pushes. Like I said, courageous. 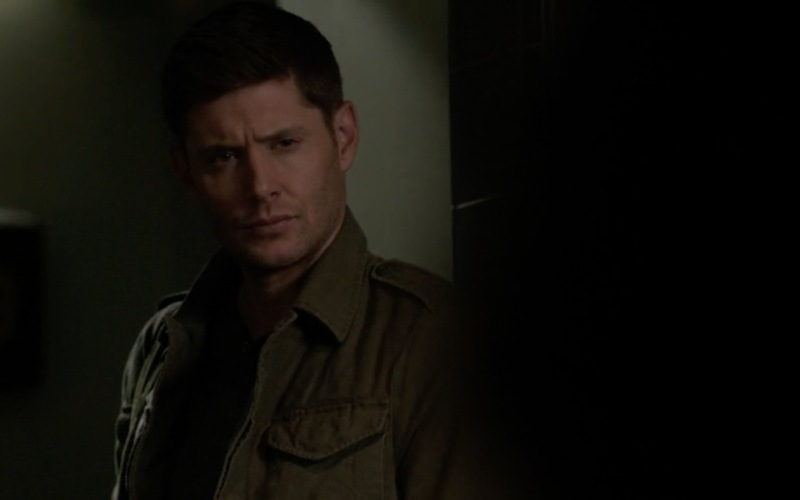 And as he pushes, Dean’s wall of repression starts to crack – and then there’s that explosion. Shrapnel all over Sam, and Padalecki lets us see that it’s hurting him, that Sam is bleeding from it, but he takes it. 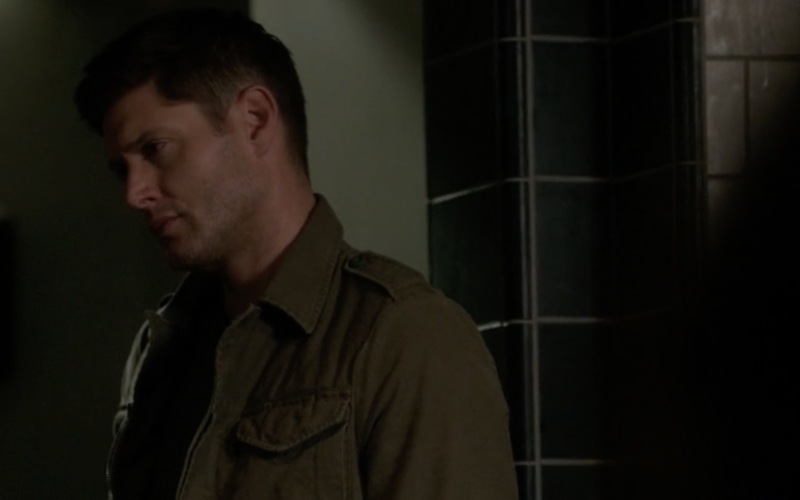 He lets Dean vent and yell and get right up in his face, all that rage and pain and grief coming to the surface. He doesn’t back away, and in his eyes there’s almost a softness. Sam knows his brother. He knows how much Dean is hurting and he knows that’s why he’s lashing out – at Jack and now at Sam himself. 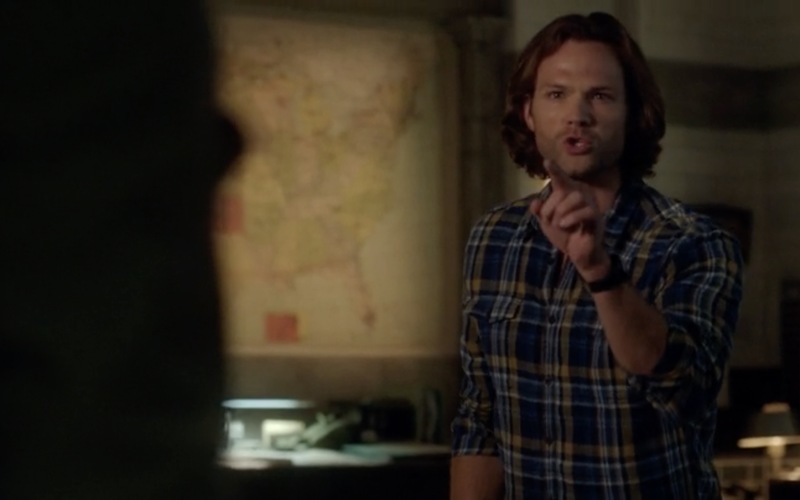 And somehow, because Sam Winchester is something to aspire to, he manages not to lash out in return. 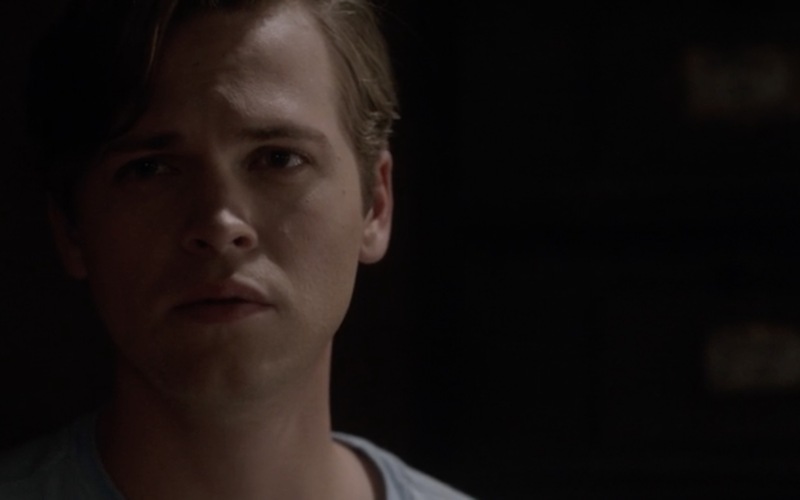 He manages to hang onto his empathy for his brother just as he did for Jack and lets Dean get it all out. It was tremendously painful to watch, but my jaw was hanging open in awe of Sam even as tears were once again overflowing. Sam tells Dean that Jack is messed up, and Dean agrees. Sam: No. Because of you, Dean. Finally called on the ramifications of his anger, Dean’s defensiveness goes into overdrive. Dean: I told him the truth! See, you think you can use this freak, but I know how this ends, and it ends bad. 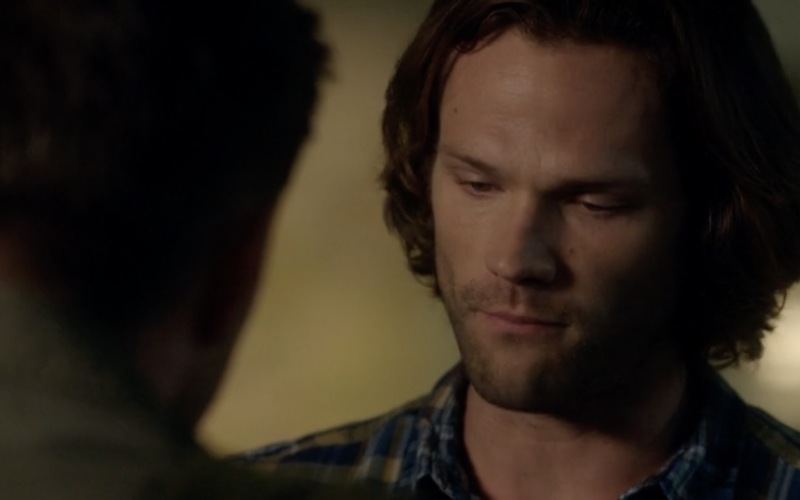 Sam: (and you can see the anger that’s brewing inside him now, at the use of the word ‘freak’ that brings back so many painful memories): I didn’t. 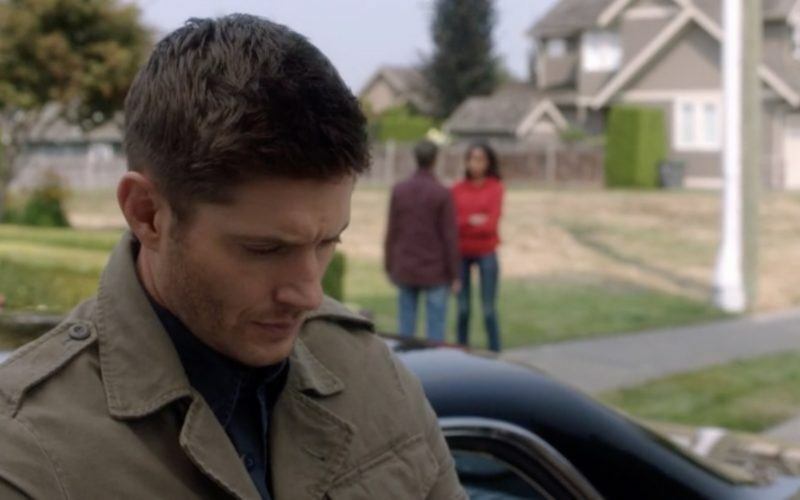 Dean: (clearly caught off guard, because he’s been so caught up in his own grief and rage that he doesn’t realize how similar this situation is to the one Sam found himself in with the demon blood drinking – a parallel fandom has been screaming about for several weeks now) What? Sam: I didn’t end bad! When I was the “freak.” When I was drinking demon blood. You could have put a bullet in me. Dad TOLD you to put a bullet in me, but you didn’t! You saved me. So help me save him! Dean still can’t hear it, can’t let himself think of these two situations as having any similarity at all. 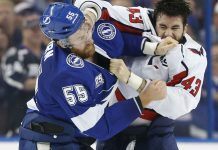 He still needs to hang onto his rage at Jack, because if he lets it go, where does all that grief and anger go? 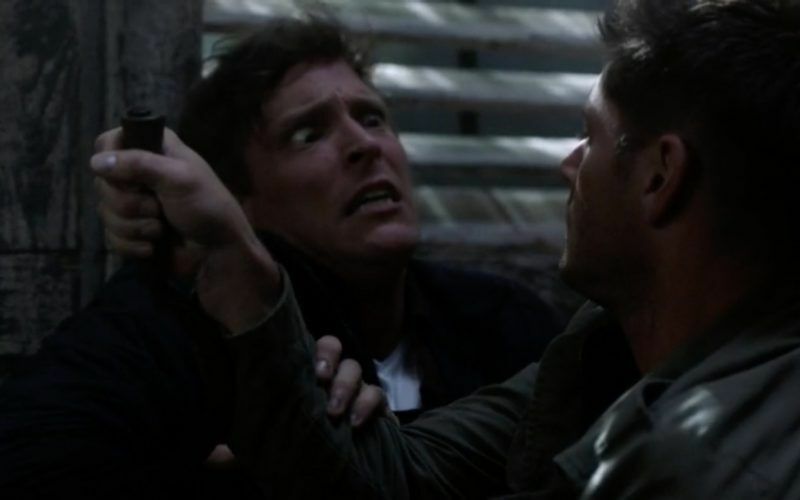 If Jack’s not to blame, right here to be punished, then what does Dean do with all that rage? 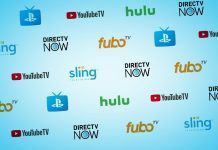 Who has to pay for the death of Castiel and Mary? Dean: You deserved to be saved. He doesn’t. Sam: Yes he does, Dean! Of course he does! 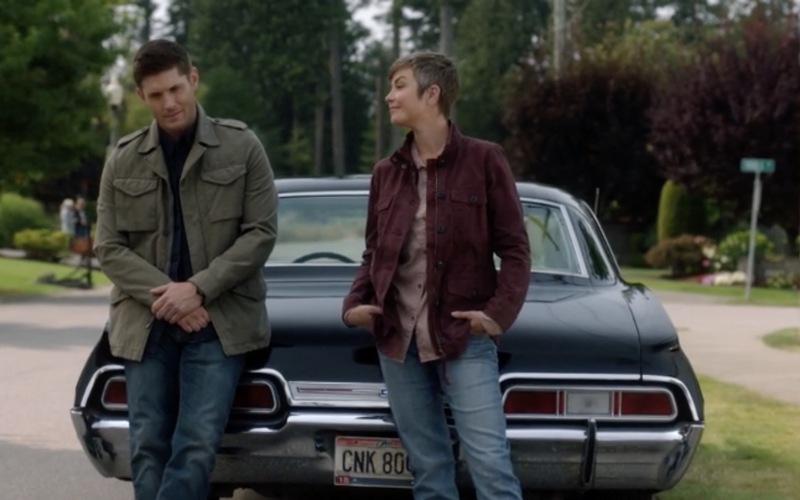 Dean: Look I know you think you can use him as some sort of inter-dimensional can opener and that’s fine, but don’t act like you care about him because you only care about what he can do for you. So if you want to pretend, that’s fine. But me? I can hardly look at the kid. Cause when I do, all I see is everybody we’ve lost. Sam tries to argue, tries to use logic and reason. Sam: Mom CHOSE to take that shot on Lucifer. That is not on Jack! 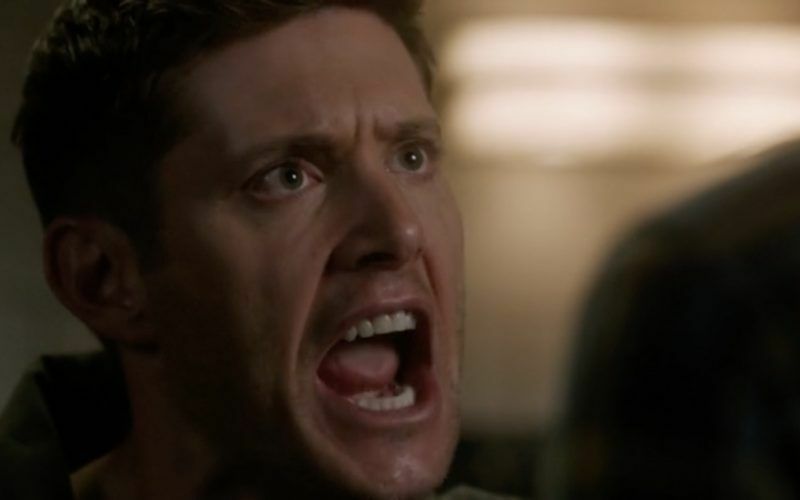 Dean: (now practically spitting at Sam, he’s so out of control angry – and Ackles shows off his equally amazing acting skills here – he doesn’t hold back, showing us the depths of Dean’s pain and rage for the first time): What about Cas?? He manipulated him, made him promises, said paradise on earth, and Cas bought it. And you know what that got him? It got him dead! Now you might be able to forget about that, but I can’t! Dean, in his anger, lashes out at Sam, trying to hurt him by accusing him of not caring about Castiel even though he knows that’s not true. 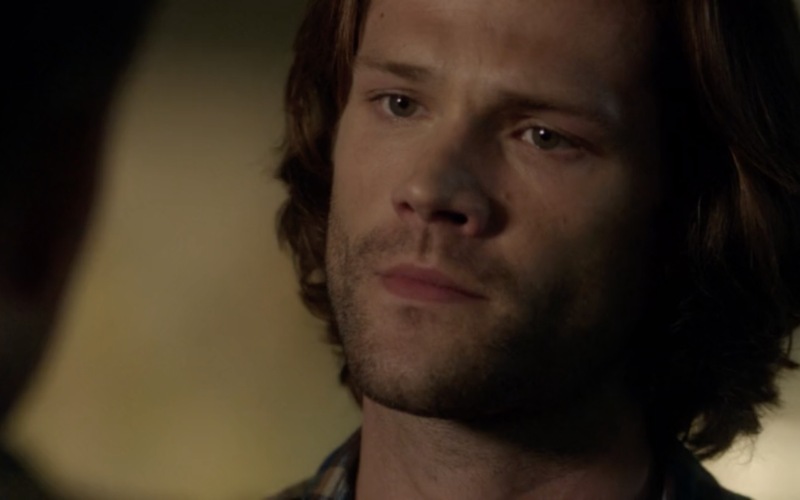 He knows that Sam is suffering also, is trying to deal with his own grief and loss and anger. But in that moment, that awareness is lost to Dean. He’s so drowning in his own pain; he’s hurting the person he cares about most. Just like James did, when he cut Missouri out of his life in his grief over losing his wife and his need to blame someone. Just like John did, when he couldn’t take care of his sons because all he could feel was the need to inflict pain on the person he held responsible for killing his wife. It’s a theme in the show, and it’s a reality in the real world too. People do hurtful things when they are hurting. I understand all this with my psychologist hat on, but underneath my fangirl hat, I’m sobbing. I talked to Jensen Ackles about how hard that scene was for me to watch, and how uncomfortable it is for me to see Dean hurting Sam – and Jack. Because the thing that sealed my own tears? We get to witness this rageful, painful scene between the brothers through Jack’s perspective. While Dean calls him a freak and accuses Sam of not caring about him, just using him, Jack sits on the other side of the wall, listening. Alex Calvert shows us just how deep the wound from every hurtful word goes, the pain on his face and in his eyes excruciating. Dean and Sam fighting like that would have hurt me anyway, but seeing what it did to Jack? Oh my god, Robert Berens, (the episode’s writer) too much. OUCH OUCH OUCH. Jared reminded us at the convention that Dean and Sam are very different people. They’re like yin and yang, but that’s why their relationship works. And I know that’s true, and I know that it will continue to work after they hash their way through their very different ways of grieving and of moving forward. 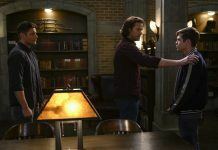 Jared: Sam researches and goes intellectual, and Dean is more instinctual, off the cuff. Kinda the yin and the yang. That’s why they make a good team. I know, Jared. I know. But damn, it hurts. 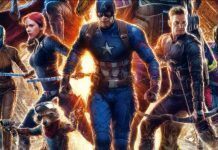 There were more epic fight scenes, which we got so see in two different versions thanks to Patience’s vision and then the same thing more or less playing out (with less deadly outcomes, thanks to Patience’s on the nose warnings). 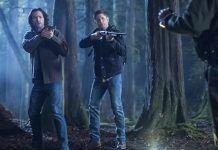 We got to see courageous Sam in this episode, and we also get to see badass Dean, as he kills the wraith. Kudos to guest actor Jon Cor for making the wraith so easy to hate and making his death at the hands of Dean Winchester so epic! The theme of being normal (whatever the hell that means) is also a theme of Supernatural, and was touched on quite a bit in this episode. Feeling like you don’t belong, like you’re not normal, is one of the most painful things anyone can experience. It’s part of how we evolved, to value belonging – back in the day, if you didn’t belong to the group, you found yourself alone on the savannah about to be eaten by something big and hungry. So we sort of panic when we feel abnormal and at risk of not being accepted. Sam felt that way, and he knows that Jack feels that way right now. Dean is currently playing the part of the rest of the world – critical, harsh, judgmental. Reacting out of fear. Patience, much like young Sam Winchester, just wants to be normal. She doesn’t want to feel like a freak; she doesn’t want to be judged as different. She doesn’t want psychic powers; she doesn’t want visions, she just wants to put it all behind her and go to Calculus class. She’s smart, ambitious, focused on school. Just like young Sam Winchester. Wraith drama over, Patience tells Dean and Jody that she’s going to listen to her dad, and try to do just that – get back to normal. Dean surprises Jody by agreeing. Dean: This life, there’s nothing but pain and horror and death. So if you get a chance at normal? You take it. At first, I was as shocked as Jody. This is Dean’s depression talking, of course, so that’s part of it. Then I noticed something telling. The ‘Family Theme’ was playing during Dean’s speech, that distinctive piece of music that lets us all know that something is happening that is core to the show, and to the show’s theme of family. At first I thought, maybe it’s because we’re about to set up the Wayward Sisters spinoff, with its theme of found family? But then I looked at Dean’s face more closely, and I wondered if in fact, it was something else. 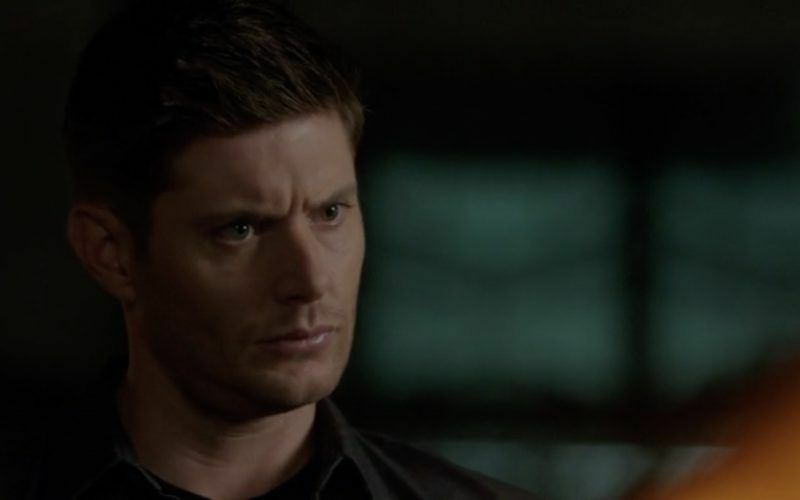 If Dean was thinking about Sam at that moment, and that long ago time when he went back and pulled Sam out of “normal”. Of that time when Sam almost got out, almost went off to school and became a lawyer and married Jessica. I think there’s a part of Dean that still feels guilty for pulling Sam back into “the life’, for wanting Sam to be there beside him. (Even though the Yellow Eyed Demon really made that decision for them). That regret is all wrapped into the grief and loss he’s struggling with right now, his hopelessness, infused with the guilt that Dean Winchester always heaps on himself. Guilty for every time he didn’t welcome his mother back with open arms, that he couldn’t protect Cas from Lucifer, for every time he admitted to wanting Sam to keep hunting with him. So many emotions all stuffed down inside one tormented man, and you can see that on Dean’s face as he encourages Patience to get away, to escape it all. It’s all that repressed, swirling, boiling emotion that explodes out of Dean when he gets back to the bunker and is in the relatively safe environment with the person he feels the safest with, Sam. Patience seems to reluctantly agree with Dean, but Jody steps up to offer a different perspective. I must admit, I got really excited at that moment. All I could think was “OMG this is it, this is Wayward Sisters beginning, right here, right now.” Jody reminds Patience that it’s her choice, and tells her that if she ever wants to talk, or needs a place to go, she has one. And Wayward Sisters, here we come! 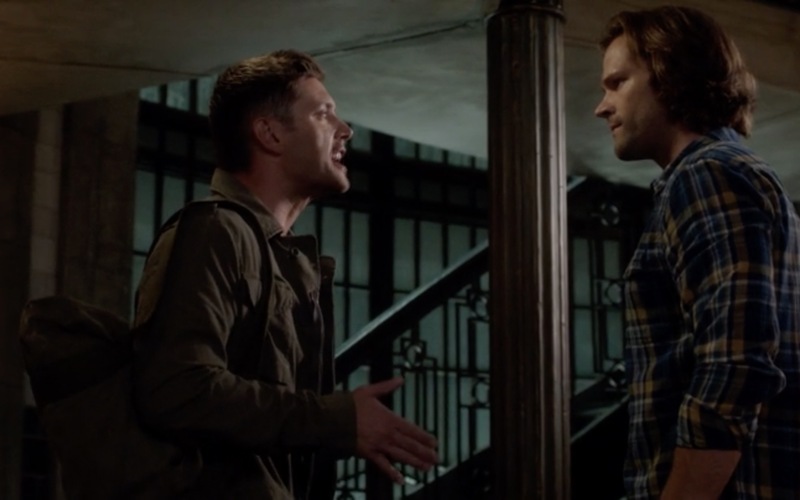 We end with Sam and Dean’s painful argument, and Jack’s agony while listening. Once again, he hears how much Castiel figures in all this, and Jack’s pain at losing the angel who was supposed to watch over him is ignited by Dean’s pain. 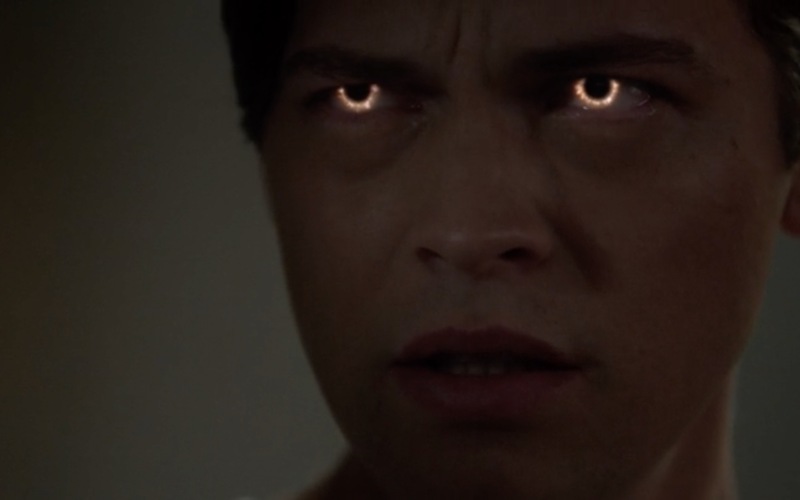 “Castiel,” Jack calls out in his mind, and his eyes begin to glow. What happens next would have been unbelievably awesome if we didn’t all know that Cas was back in this episode. I suddenly wished like hell that I didn’t know that, that spoilers were not impossible to avoid now, that it was season 2 again and I could be shocked and awed by a scene like the next one. 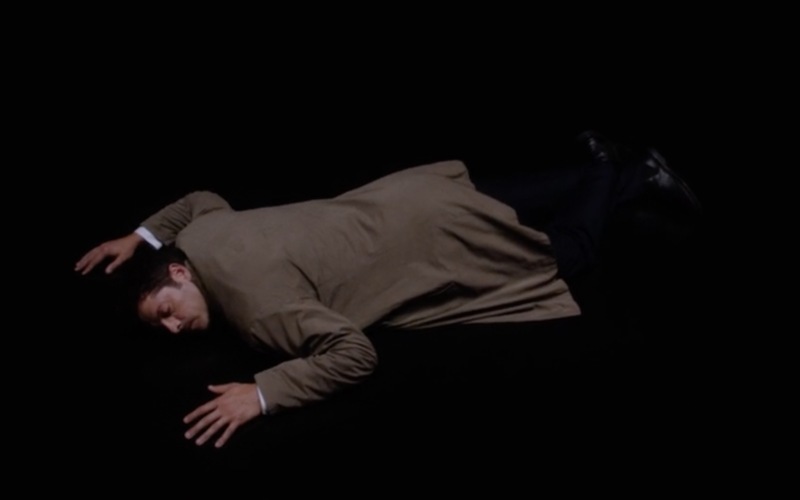 Because there is Castiel (Misha Collins), face down in utter blackness. And as Jack calls, he opens his eyes and starts to get up. That should have been an amazing moment, one that would have had me screaming at the screen OMG HE’S ALIVE! I could appreciate it for what it should have been, but it didn’t have that impact because I knew it was coming. The network even put Misha’s credit at the end of the episode, which is confusing because they did their part in spoiling his return. 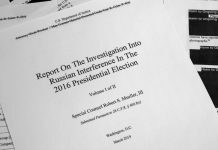 I guess that’s just too much of a big reveal to keep under wraps, but it’s a shame. So Cas is back, but where is he? Word on the street is that he’s in the “Empty”, which we’ve heard about for a while. It’s what Billie the reaper threatened. And Cas was the one who killed her. Thanks to @kayb625 for the beautiful caps that show the actors’ skills and the characters’ emotions so well. The theme of separation is certainly at work this season too – Cas in the Empty, Mary in the AU, Dean cut off from his feelings, Jack trying to figure out how to break through his mental walls. I suppose Jensen is right; they must be doing something well if I’m this tied in knots about the show this season. 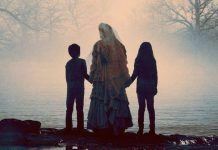 I’ll be sure to have lots of tissues handy for Supernatural 1304 which you can check out the trailer for above! Thanks again for a great synopsis/review. Each time I read your take I watch the episode again with greater understanding and even deeper feelings. I love the boys so much that I never want to miss any nuances Jared and Jensen give us. (I am sight impaired so that does happen.) This season, and this episode in particular so far, tear up my heart.